In yet another development and innovation at the Victoria Falls Safari Lodge resort, we are opening The Boma Café earlier in the day to commence a new breakfast offering. Lokuthula Lodges B&B guests (who have up to now been having their breakfast at Victoria Falls Safari Lodge’s MaKuwa-Kuwa Restaurant), will soon be able to enjoy their first meal of the day al fresco-style in a tranquil garden setting at The Boma Café, located close to the lodges. 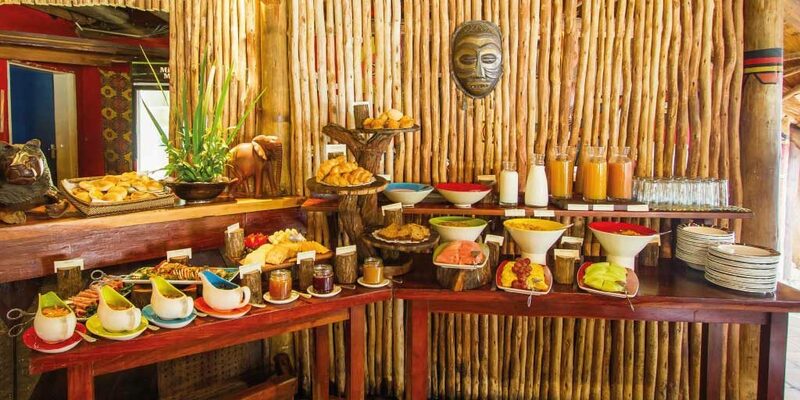 The Boma Café, which will begin serving Lokuthula Lodges B&B guests breakfast between 7am and 10am from April 1, will also cater to other diners, including Lokuthula Lodges self-catering guests. The cost of the breakfast for walk-in guests will be US$18. Guests may choose from a continental buffet, featuring pastries, breads, cereals, yoghurts, seasonal fruits, juices, cold meats and cheeses, freshly brewed coffee, and a selection of cooked breakfasts – the Boma omelette, vegetarian treat or mixed breakfast delight. We look forward to welcoming your guests for breakfast at The Boma Café.